WiiWareWave Update: V.6.0 Now Live! New Background, Holiday Cheer, Usertags And More! Today is a great day to be a member of WiiWareWave as we have added new features to our community and have added some holiday cheer as well! 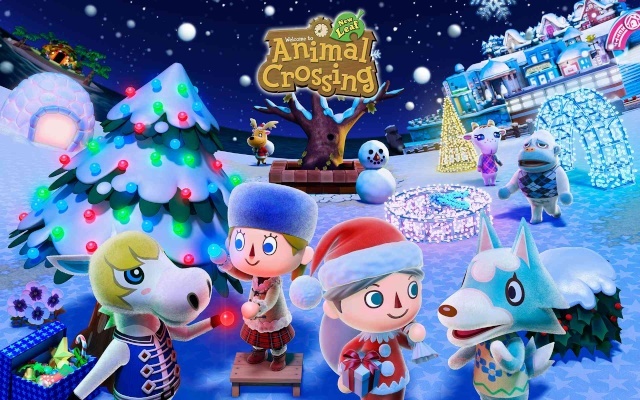 The new background is from Animal Crossing: New Leaf and we added some animated Christmas lights at the top of our pages in the header! As for new features we have added a new Usertag system that is integrated into the notification bar on the top of every page and this time there aren't any serious known bugs with this feature! to tag someone use the @ tag followed by the desired username that you want to tag! There are some restrictions for this feature as some usernames aren't compatible. Other usernames with a space or certain special characters need to be encompassed in parenthesis. You can also set to be notified when someone uses a Usertag with your username in your profile options! The other new feature we have added are #Hashtags and with these it'll make searching for similar posts much easier! Just click on a #Hashtag to find all recent instances of that particular #Hashtag ! #Hashtags won't work properly if you add any spaces to the #Hashtag . There's also an option in your user profile to be notified when specific #Hashtags are used! #Hashtags aren't currently available in our blogs so only use them in our forums for now. #Hashtags have now been fully implemented across both our blogs and forums! Enjoy! Lastly we ask that you don't post messages that only include #Hashtags and try not to overuse them. One or two per message is ideal, though up to four will be typically tolerated. We hope that you enjoy these new features! Let us know what you think of our latest update in our comments below! Re: WiiWareWave Update: V.6.0 Now Live! @Rukiafan for a moment there I thought that the #WiiU was updated to V.6.0. lol. #LolWaitAMinute #Hashtags work in the blog comments lol. @Shino Asada that's because I was still working on fully adding the new feature earlier as there were a few conflicting scripts on our blogs that I had to address before the feature could fully work in the blog comments. Thanks for all of your kind comments! V.6.1. should go live this weekend with even more new features so I hope you're ready for more changes.